Spotify is ever-evolving. As the service grows and users discover more and more content, the streaming giant is innovating ways in which artists can connect to fans and vice versa. As a result, Spotify has implemented a few new features for artists, managers and labels which called for an update to our Spotify Best Practices. Before diving in below, do check out our original post for the basics. Now read on for a few new points to get you up to speed on all things Spotify. 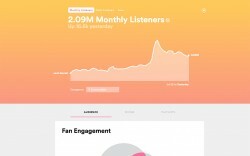 Fan Insights is a new and extremely beneficial tool for artists and managers to dig into listener activity within Spotify. 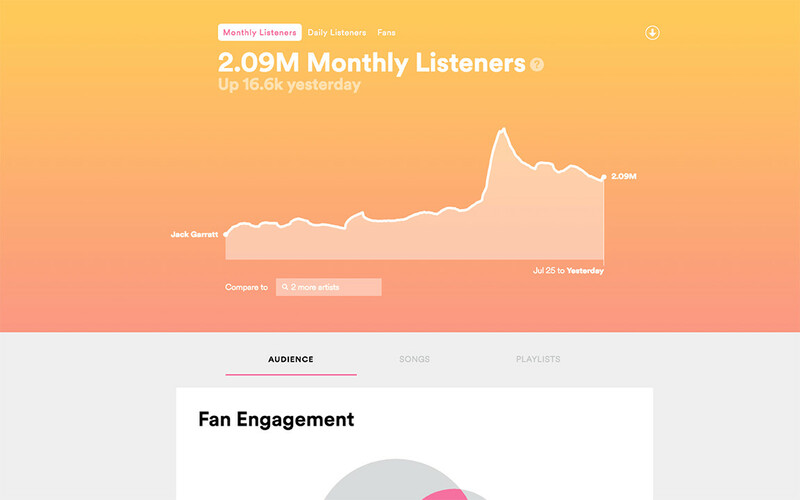 After signing up, artists and management can get granular information on how listeners engage with your music. Whether it’s seeing how many times a track was added to a playlist, how many different streams you received on a particular track in a particular territory, or how many tuned in to your music every day for the last 28 days, Spotify makes sure you know what is up with your fans. With all this info, you can plan the perfect tour. *wink nudge* Once you sign up, it should take anywhere from 1-2 weeks to gain access. Remember: you need to be verified before you sign up for Fan Insights. Please do so here. With the advent of Fan Insights, updating your image on Spotify has never been easier. Once you gain access, simply click the top left camera icon to change the header image to any image with the proper specs. Please note that Spotify is moving to a world where the small circular images (avatars) do not exist and headers reign. The specs for an ideal image are: .jpeg format in landscape orientation with at least 3840 x 2160 pixels resolution. Following a recent partnership deal, you can now sell merchandise directly from your Spotify profile using Merchbar. Fans can click straight from Spotify through to the product page to purchase T-shirts, vinyl, CDs and more. Bonus points: Spotify takes no fees or commission. Get more deets here. Tour dates are incorporated on artist pages automatically via Songkick and Ticketmaster. Make sure your dates are all being tracked and shared with your fans by going to tourbox.songkick.com to manage your Songkick artist pages. If you have an issue, please contact [email protected]. Hitting all of the above before the new year will ensure you are ready to roll with the tools Spotify wants all of their artists to have access to. At the end of the day, if you know your fans, you can connect with them and they with you.